Melbournians are mad about sport, so it’s likely that you will come across some sort of sporting event or celebration during your stay. Sport runs deep into the veins of this city, like it does throughout Australia. If you like sport, make sure you go to a game. From Rugby and Soccer to Cricket and Aussie Rules there’s plenty to choose from. In contrast to the thrill of sports games, Melbourne is also home to many excellent museums, art galleries and music venues. It’s one of the best places in the world to go if you like to experience a touch of culture. 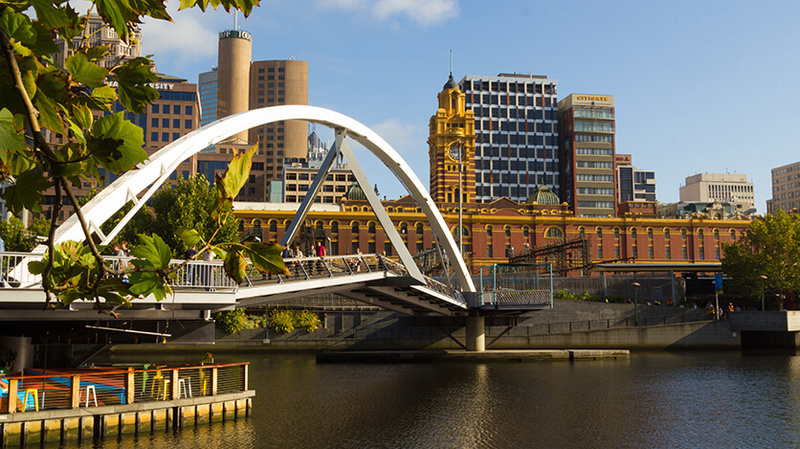 Head to Melbourne Museum or the National Gallery of Victoria. Foodies also flock to Melbourne to take advantage of the city’s excellent restaurant scene. There are hundreds of bars, restaurants, cafes and bistros to sample. The cuisine is international and varied, giving you the opportunity to treat your taste buds to a myriad of flavours. Melbourne also has an endless amount of markets, one of the biggest being Queen Victoria Market. Melbourne also has a buzzing nightlife with great clubs and retro bars where you can enjoy a few beverages. Try Flinders Lane and King Street for some of the liveliest bars and music events.